From our farm to yours! Our new double wheel hoe adds strength and versatility for your gardening needs. 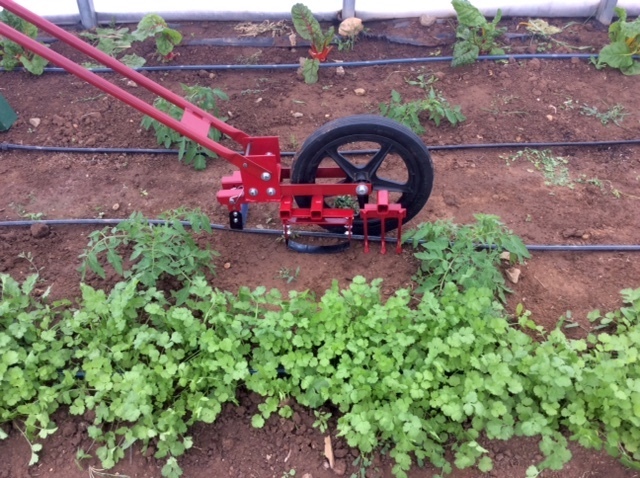 We make our wheel hoe from steel plate that is expertly welded for maximum durability. It is ergonomically designed, fully adjustable and offers easily interchangeable attachments. 5-inch stirrup hoe included at no extra cost! Use our new tool bar to increase your productivity while working in the garden. The tool bar works great with our double wheel hoe. 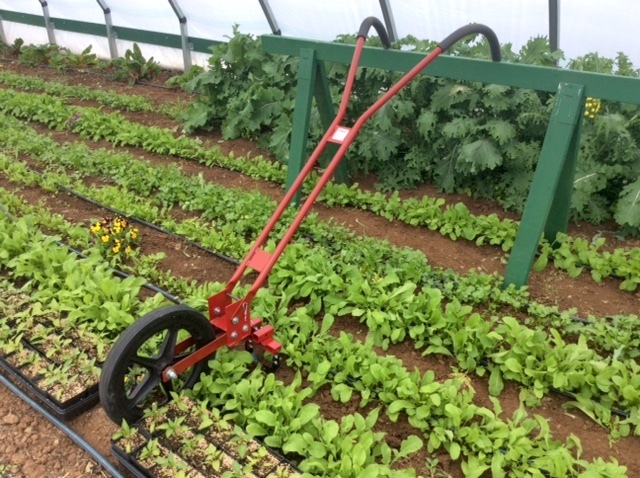 With a rounded handle, our wheel hoe can be comfortably held in any position. The foam rubber grips provide a soft surface for your hands. The handle can also easily move between three different height options. We continually strive to improve our products. Along those lines we also like to add new implement options. 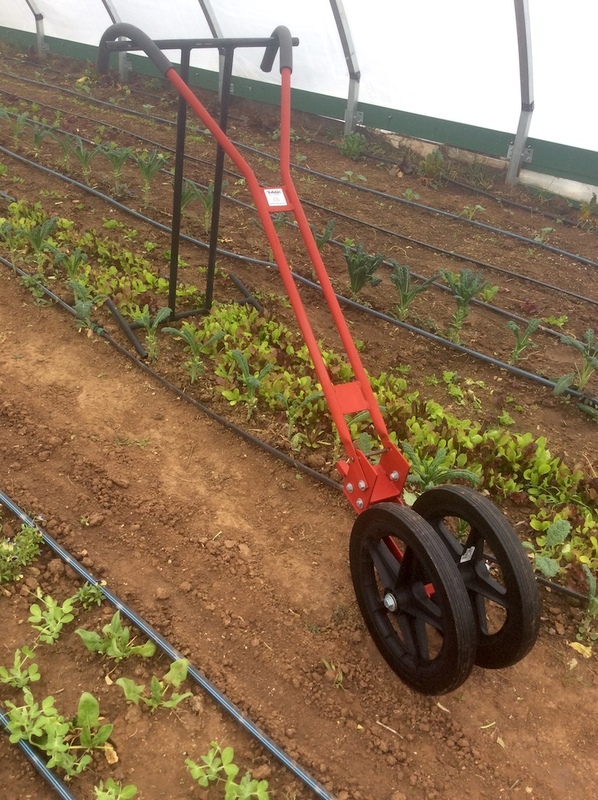 Introducing our new furrowed that will dig tidy trenches for planting seeds. 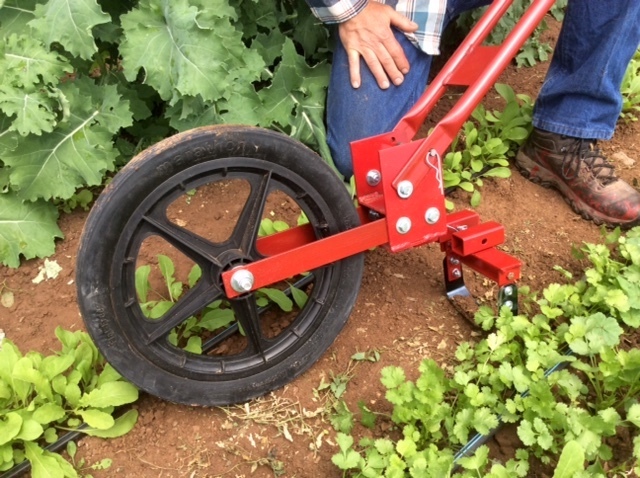 If you have already purchased our wheel hoe, you will want to add our double wheel upgrade to improve stability and versatility. Plus, the double wheel configuration works great with our new wheel hoe tool bar. 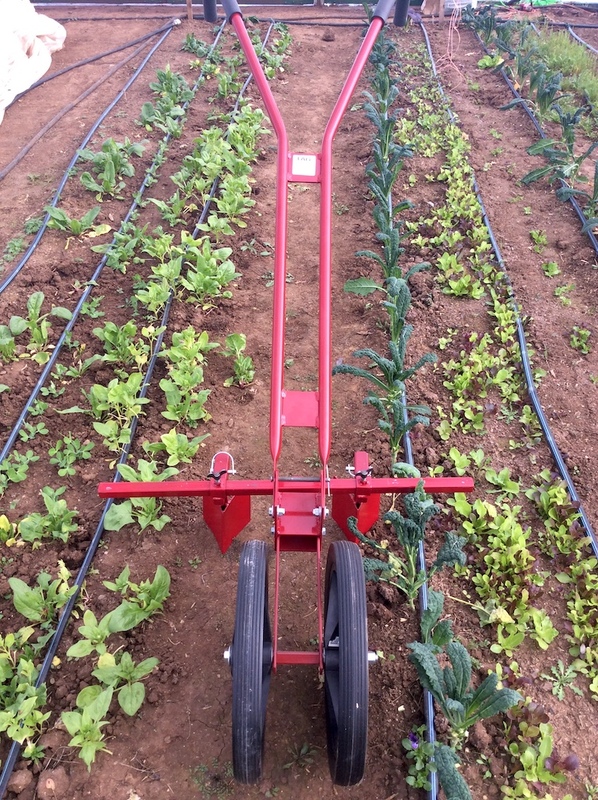 Our wheel hoe stands out from the competition because of our ergonomically designed handles. Your hands will thank you! Our interchangeable implements will make a more flexible wheel hoe to handle the jobs your garden demands. The TAG Equipment Wheel Hoe is made in the beautiful town of Dolores, Colorado. 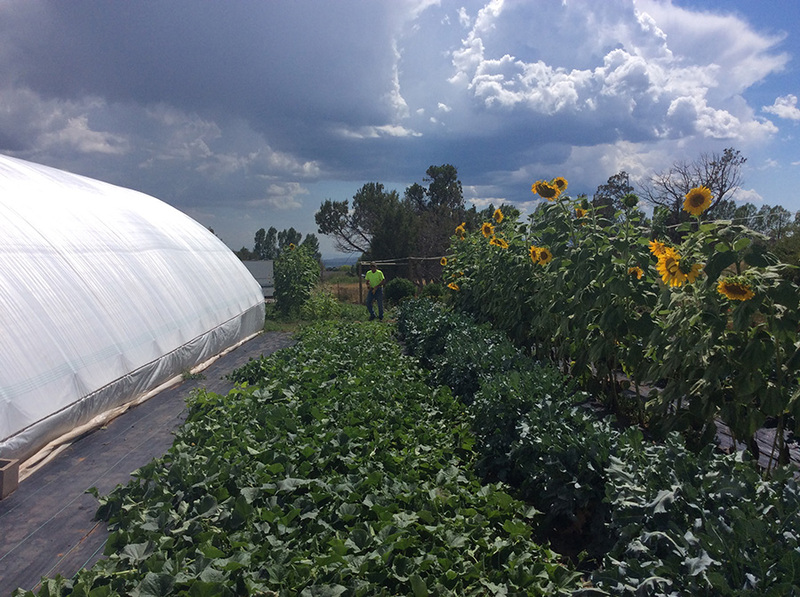 Located in the southwest corner of the state near the Four Corners, we craft each wheel hoe and send them directly from our farm to yours. 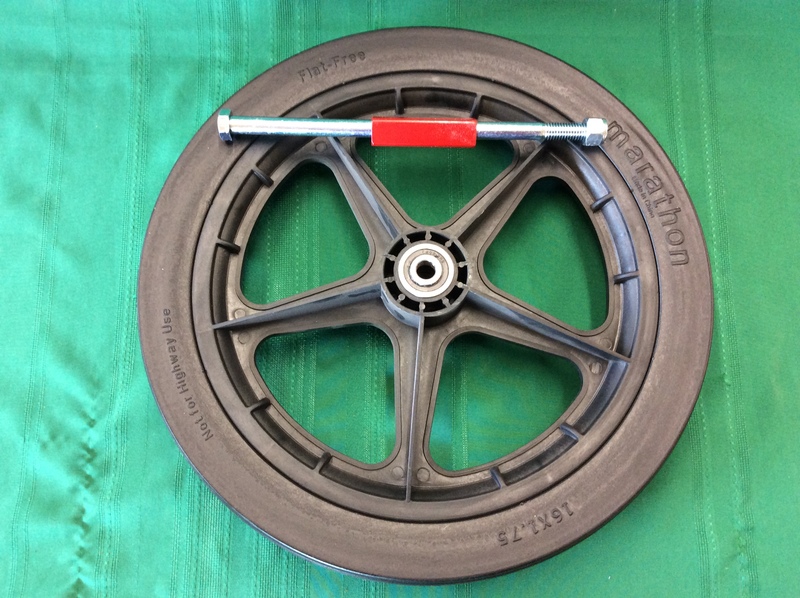 COMING SOON: New Wheel Hoe Implements! We are also developing a spring tooth weeder implement with adjustable width and height, and rotating heads. 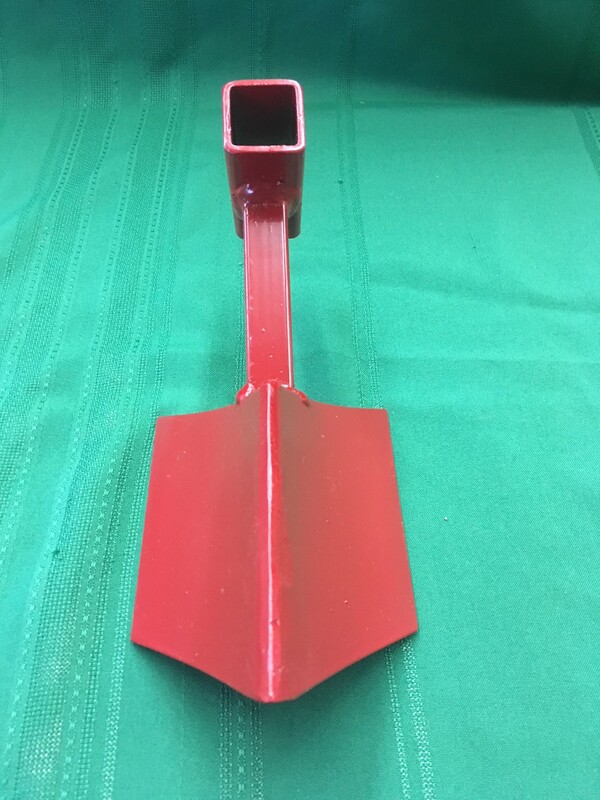 Check our store for other new products – new TAG Equipment wheel hoe implements are in the works and will be available online soon. The TAG Equipment wheel hoe is a really great tool around the farm. We use it for all sorts of tasks, from bed prep and stirring in compost, to weeding a long season crop, or taking out a spent bed of greens. It's heavy duty enough to get through hard clay soils and survive encounters with rocks, but also light and maneuverable so that lifting it into the quad trailer or walking it across the farm isn't a problem. From the greenhouse to potato field and spring through winter this thing has been super useful. We tried your wheelhoe and are very pleased with how fast and easy it is to weed our beds. Don't see the implement you're looking for? Fill out our Product Request form and let us know what you'd like to see come down the production line! We are currently designing new implements for 2018 production and would love to hear from you.